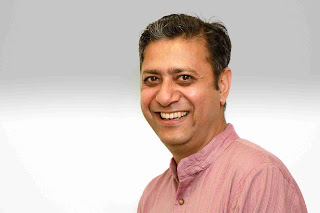 Professor Dwarika Prasad Uniyal, formerly heading IIM Kashipur’s Dehradun campus and former Assistant Dean of Executive Education, has joined FLAME University, Pune, as the Dean of FLAME School of Business. He will also serve as Chair-Strategy for the University. Professor Uniyal brings with him rich and varied experience of more than 20 years in premier academic institutions and industry. In an academic career spanning over two decades, Professor Uniyal taught at premier Business Schools like MICA - Ahmedabad, SPJIMR - Mumbai and SP Jain School of Global Management - Dubai. Before joining IIM-Kashipur in the founding faculty group, Professor Uniyal was part of O.P.Jindal Global University as the Founding Assistant Dean of Jindal Global Business School. He created the business school as a greenfield project. In the past he had been invited by Govt. of India to serve as Professor of Management in India's premier academy, LBSNAA – Mussoriee, to train India's civil services. Professor Uniyal serves on the board of Braithwaite & Co Ltd, a CPSE in the Ministry of Railways as an Independent Director.He also serves on the board of academic institutes in Uttarakhand and is on the advisory boards of social and commercial enterprises. In the academic world he is known for his bestselling book, “Managing Retailing", published by Oxford University Press. FLAME University offers a two-year MBA program.FLAME School of Business has been accepted in the coveted CFA University Affiliation Program. The MBA program is NBA accredited for five years, a testament to its quality. FLAME School of Business is committed to develop management professionals who are competent in their chosen domain, sensitive to the environment and culture, responsible to the communities, ethical in all doings and global in their outlook and approach. The program achieves these objectives by having very rigorous academic processes with updated and relevant curriculum, liberal education courses, extensive industry interaction through flagship initiatives like the FLAME Investment Lab and FLAME Entrepreneurship Lab, sports and vibrant student activities in a residential setting in its picturesque campus. Apart from majors in Finance, Entrepreneurship, Human Resource Management, Marketing and Operations, FLAME School of Business also offers minors in Advertising and Branding and Digital Marketing and Communications. FLAME University has been created as an academic institution anchored in liberal education. Being the pioneers of liberal education in India, FLAME University delivers the country’s premier interdisciplinary education experience. It exists to build an aspirational destination for students and faculty, to push the design and nature of studies and to create a societal upgradation phenomenon particularly in the fields of liberal education and leadership. FLAME University is driven to being one of India’s most respected and reputed centers of learning – the one destination of choice for higher education in the nation for learners and teachers. FLAME prepares students who have a strong desire to learn and grow continually, welcome new ideas, value diversity with desire to succeed and give their best towards excellence in all spheres of life. Its curriculum includes perspective building, skills and competencies for communication, problem-solving skills, creativity, innovation, teamwork and ethics that also meet the needs of the diverse sectors of the country. It currently consists of four schools: FLAME School of Liberal Education, FLAME School of Business, FLAME School of Communication and FLAME School of Fine & Performing Arts. With >90 quality full time faculty members, the university offers an unparalled education experience. The student – teacher ratio is 9:1.